My favorite day of the month is Stitch Fix day! This month was the best yet! I have asked for the same stylist to keep styling me since fix # 3 and it has been such a success! She gets to know me better with every fix! We’ll send you a selection of five clothing items and accessories handpicked by personal stylists on the date you choose. At the time your stylist selects your items, you will be charged a $20 styling fee. That $20 will be applied as a credit toward anything you keep from your shipment. We encourage you to try on everything our personal stylists have picked for you because you just never know what will look great on! Create new outfits by pairing what’s in your shipment with the items that are already in your closet. Take three days to decide what you’ll purchase and what you’d like to send back. You’re only charged for these items when you tell us what you’re keeping and returning. Check out by logging in to your account to pay for those items you want to keep. The $20 styling fee will be applied as credit towards any items you purchase. If you buy all five items, we’ll give you 25% off the entire purchase! Simply return the items you don’t want in our pre-paid mailing bag and drop it at any USPS mailbox. Stitch Fix clients enjoy free shipping both ways as a benefit of using our service! Don’t forget to give us specific feedback on each of the items you receive. Our personal stylists are able to send you better selections when we know what did and didn’t work for you, and why. 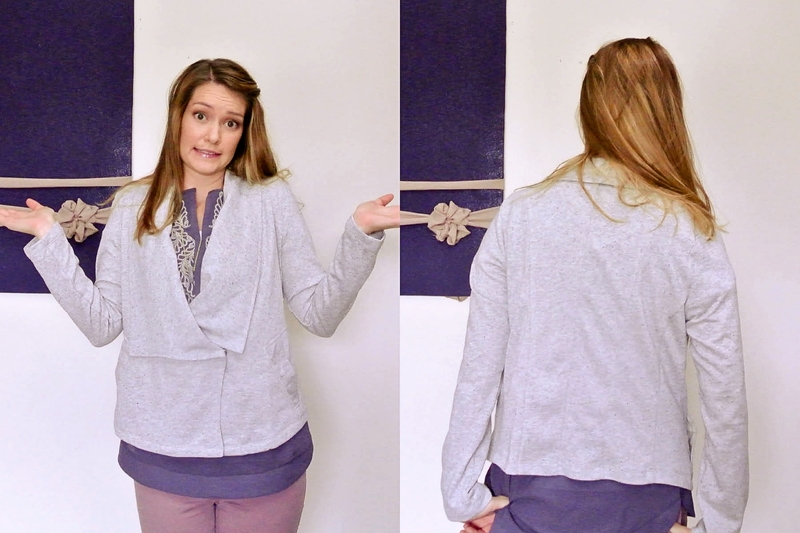 And a new service of Stitch Fix is their maternity clothing and petites! 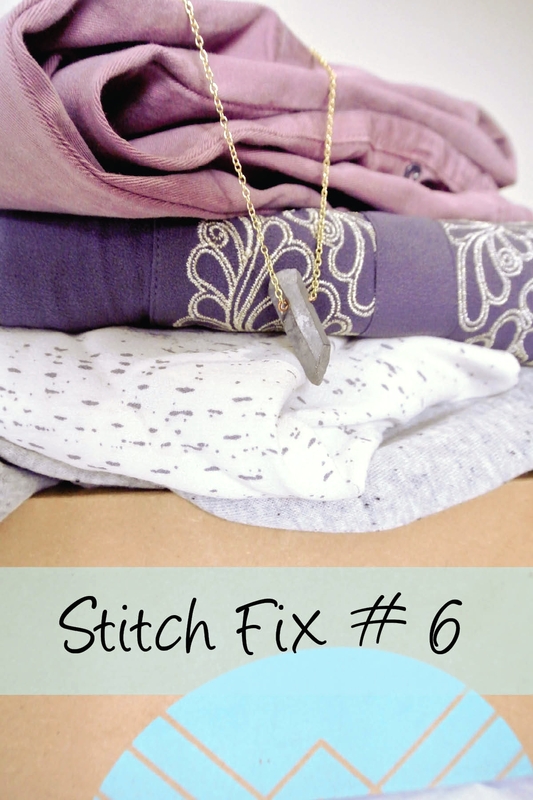 Sign up for your own Stitch Fix TODAY! It’s soooooooo hard to get detail of white shirts to show up in pictures! I know all you can see in this one is wrinkles. It actually looked nice right out of the box. Then, I threw it back in the box until I took the picture and it came out like this… Maybe not the right top for me if it needs to be ironed. This actually looks really nice on me and I LOVE that it’s peplum, but just on the front sides and not all the way. I LOVE the zipper detail on the back and the fit is nice too. The wrinkles really put me off though, and it was a tiny bit too short for my liking…. RETURNED. Fail…. just fail… I’m going to keep on asking for jackets and one day I will get one that actually fits and looks nice. I have to say, these don’t look quite as good in the pictures as I thought they would… hmmmmmmmm. Too bad I loved them the second I tried them on! I was slightly put off when I saw the color at first. I didn’t know if I could pull it off. They are a little more on the cool side than the picture suggests. I would almost say lavender. It didn’t take too long to convince me though. They are sooo soft and stretchy and not too low or high waist-ed. Also, the rear doesn’t fall down when you sit but the waist isn’t too tight at the same time… $100 for 1 pair of pants????? I did it. I bought them. Now I have 3 pairs of pants that I actually wear. End. Of. Story. This was my favorite Fix yet! They just get better and better. Seeing that box on my porch is enough to make my whole week a lot brighter. Then, when I love 2 pieces enough to buy them? My husband asked me why I was so happy! 🙂 Sometimes we just need a pick me up to get us through and this is mine. Try it ladies. It’s so much fun! 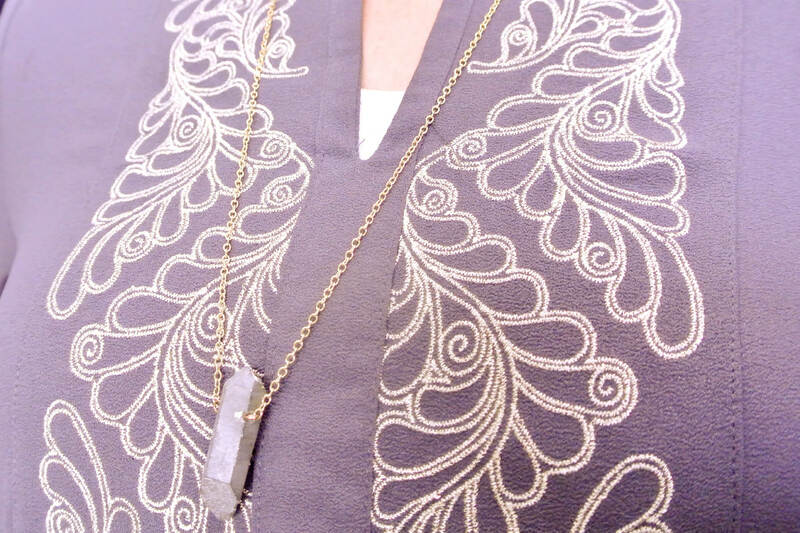 This entry was posted by ilikelace in Stitch Fix.